← Who Needs Scientists? Just Let Mother Nature Design Your Greek Yogurt. 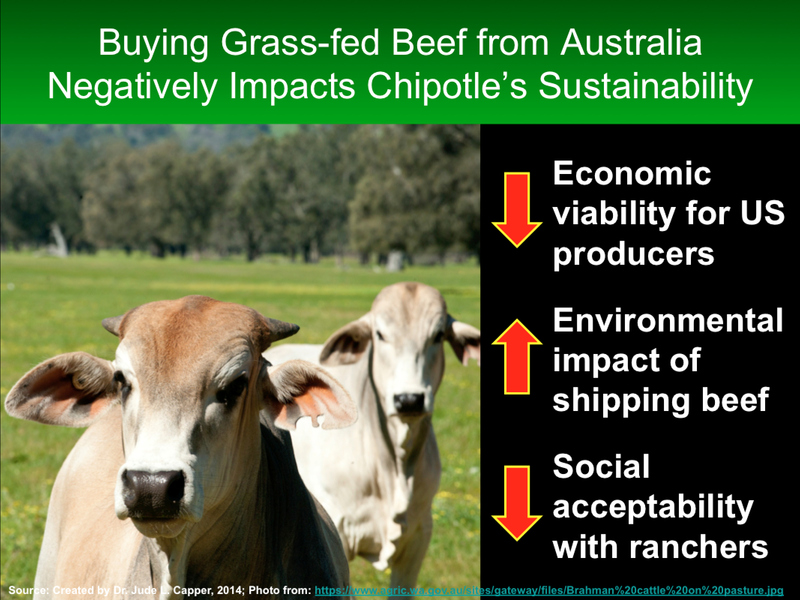 This entry was posted in Beef, Chipotle, Consumer, Economic Viability, Environmental, grass-fed, Meat, Social Acceptability, Sustainability and tagged Australia, Beef, Burrito, Chipotle, Economic Viability, Environmental Impact, Food, Grass-fed, Meat, Social Acceptability. Bookmark the permalink. Great post — so very well stated. Thank you for all that you do for beef farmers like me! I came across this web article and just had to share (http://www.newsmaxhealth.com/MKTNews/Why-Christians-Get-Sick-BWR/2014/04/25/id/567812/?dkt_nbr=mcqox9ey). Apparently by eating GMO crops we not being good Christians. So now they’re playing the religious angle as well. Oh my goodness. Literally nothing is sacred in the arguments against food technologies. 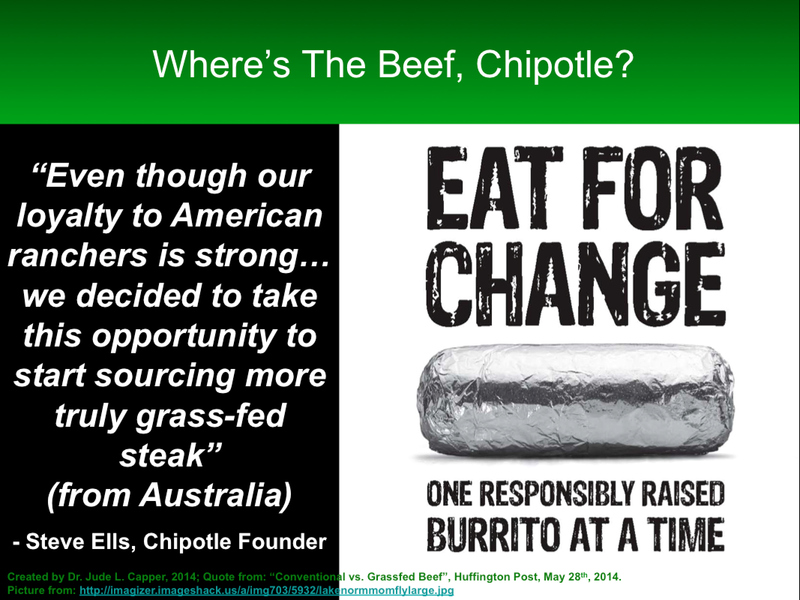 So you are scolding Chipotle for supplying premium beef in their burritos and they can’t get it from American suppliers? Remember we are talking about very inexpensive and tasty burritos for the masses. Not t-bones for Ruth’s Chris.